Buy Dirty Rigger Products Here! As a well-known distributor of gloves and accessories for the entertainment business, Dirty Rigger have an accomplished reputation! The company was established in 2010 as a sister company to the Le Mark Group who have been supplying event equipment to the arts and entertainment industry since the 1980s, so expanding the business was a no-brainer. The range of Dirty Rigger products we currently stock includes the Dirty Rigger Podger Holster, the Dirty Rigger Podger Tool Lanyard, both of which are essential for conducting work on event rigging. We recently added Dirty Rigger Gloves to the range – designed to provide comfort and flexibility while still being durable enough to last. Be sure to take a closer look at them when you head over to our Dirty Rigger section! 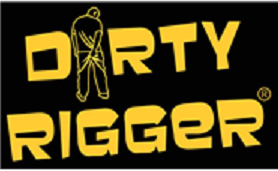 Find all of the Dirty Rigger products that we offer, by clicking the button below. If you have any questions, don’t hesitate to give us a call on 0117 9381 600. Posts and Chains from Life-Gear! What is a Rope Grab? Climbing PPE: Stay Safe While You Climb! Ecommerce Web Designby Designer Websites Ltd.